Posted by Denise Deby. Thanks to Susan Elsdon and St. Mark School Council for the information. Not sure what to do with those old computers, cell phones and other electronic stuff? 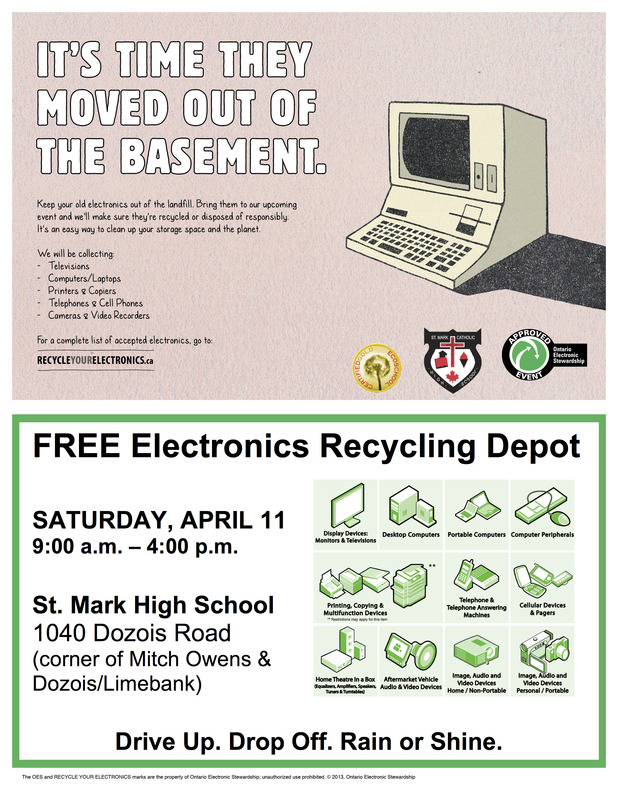 St. Mark High School and Ontario Electronic Stewardship are hosting an Electronics Recycling Depot on Saturday, April 11, 2015. You can bring used equipment (check here for a list of accepted items) to the school at 1040 Dozois Rd. between 9 a.m. and 4 p.m. Drop-off is free. Thank you for posting this heads-up.